I live on Cairo’s streets! Love me! Hello there! It’s me, your friendly neighborhood Cairo street ferret! You just caught me bounding along effortlessly. Wasn’t that adorable? Don’t you just want to die because of how cute I am! Did you see the way my body forms perfect mini-arches with the street as I’m springing along? Weren’t you reminded of the scalloped dye cuts that your mom used when she went through that scrapbooking phase? Some people have described my cutesy antics as magical, ineffable, and transcendental. For me, it’s just my normal life. Do you know what it’s like when people are inspired by even your most ordinary actions? Is anyone moved to tears or laughter at the preparation of your morning coffee? No? Well, this might be something we ferrets alone can understand. When I saw you leave Cairo Jazz Club, I thought I’d make an appearance so you could know there is something beautiful left in the world. I was just over there by that pile of trash doing dainty ferret things when I sensed a smoky soul in need of a lift and then hop! bounce! There I was! And then I was gone! You don’t have to tell me how much you enjoyed seeing my amiable face and bizarrely flexible body. I’ve heard every praise known to man and ferret, so anything you say will be meaningless anyways. I’m glad to do this merely as a service for those a little bit more burden-laden than the rest of us in this city. I know you Arabic students have a hard life, trying to make it off of a stipend that only supports a humiliatingly upper-middle class lifestyle, the exorbitantly expensive restaurants, country clubs, and apartments embarrassingly out of reach. You have to deal with nightly homework in a subject you specifically came to Egypt to study. If that isn’t enough, you have class a ridiculous four days a week, and only fourteen weeks of vacation out of the year long fellowship. So I get it. You and I are not so different. I live off of street trash and car fumes. In fact, after the Ferret Council of 1974, street ferrets decided to evolve and can now digest most forms of Styrofoam and need car exhaust in order to survive. It gives us increased flexibility and fur sootiness. I, like you, also smoke people’s cigarette butts whenever I can find them. If I’m really lucky, I inhale the second hand smoke directly from someone’s mouth. That’s only happened once before and I don’t think the man himself understood why he was laying on the ground smoking a cigarette with a street ferret tickling his whiskers, but it was a pleasant, and maybe once in a lifetime, experience for both of us. I also live my life prancing around the streets of Cairo, my slinky-like body structure allowing me to be run over or stepped on without any damage whatsoever to my person, even though my pride is always hurt. 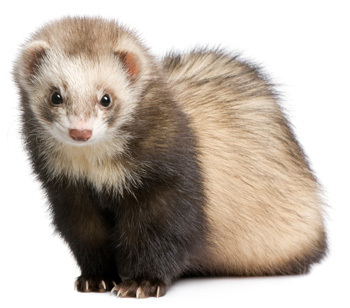 The ferret rage comes afterwards, and sometimes I crawl into the hoods of parked cars and tinker with their engines just to show them. It’s eerie how much satisfaction I get from watching things burn. But that’s what this city does to you. So…I’m getting bored with this conversation. You Arabic student types aren’t exactly skilled conversationalists, are you? Anyways, I’m glad I could brighten your night a little bit and I hope life gets easier for you. Really, I do. I hope someone finds you and decides to pay you for just being who you are and nothing else, since that’s what everyone deserves. If I’ve learned anything from Cairo’s streets, it’s that everyone is special. I’m working on in…I’m working on it….